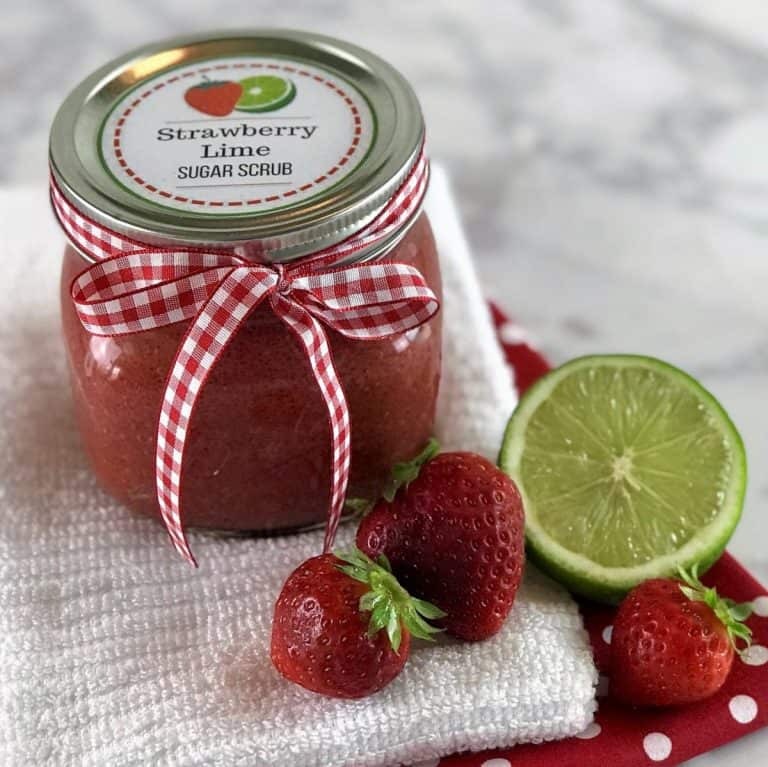 There are so many things to love about summer swimming: flip flops, friends, family, watermelon, vacation, lightning bugs, and ice cream, just to name a few. But one of the things I do not like about summer is the excessive summer heat and humidity that seems to come to Kansas City every July and August. 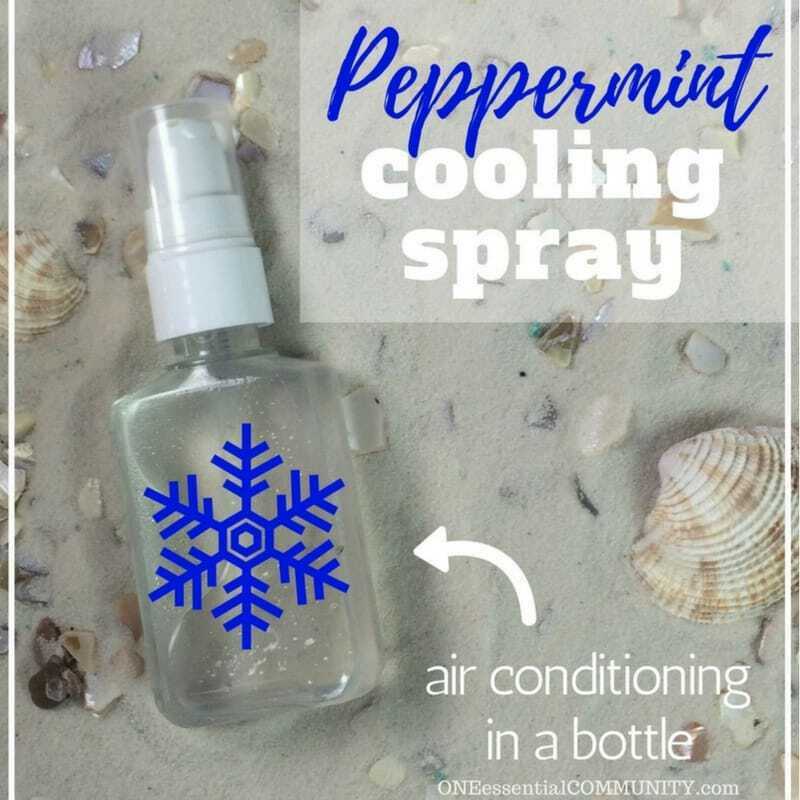 Rather than hide out inside next to the air conditioning for those two months, I whip up a quick batch of this 3-ingredient DIY peppermint cooling spray and off we go! 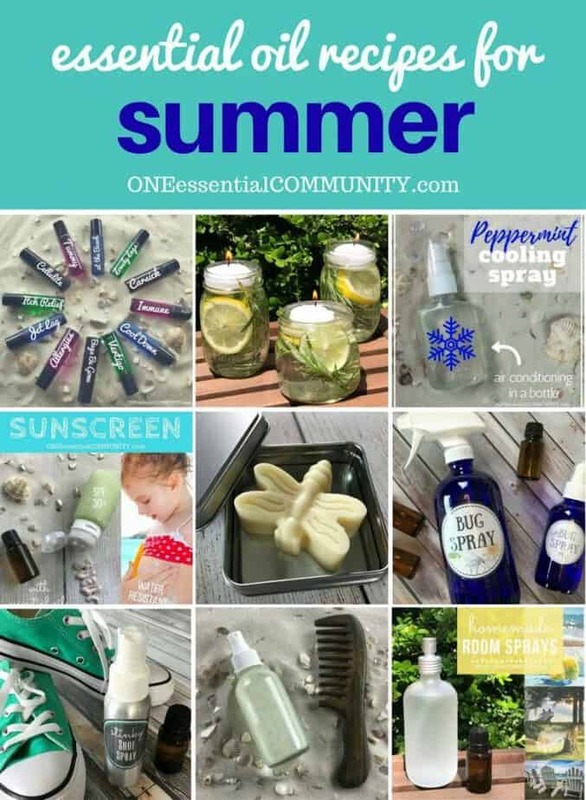 This simple, natural spray keeps me cool and refreshed, helping me to face the heat and humidity of a Midwestern summer. 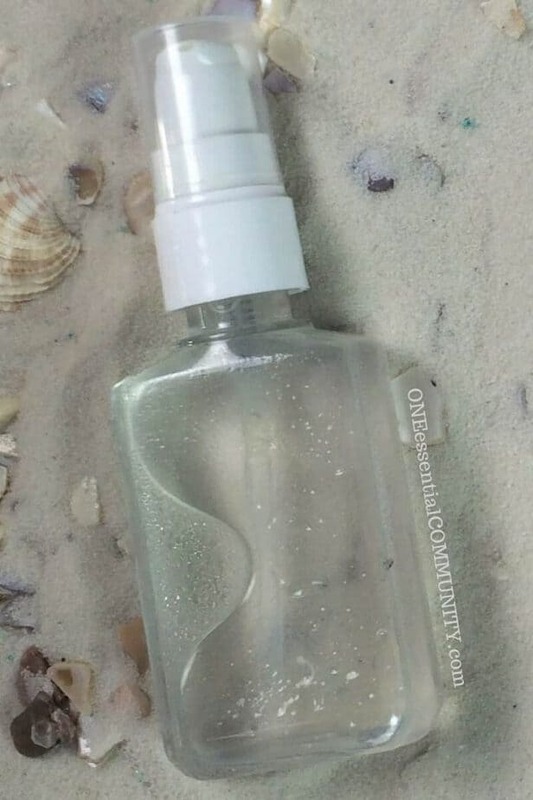 What’s in this cooling spray? 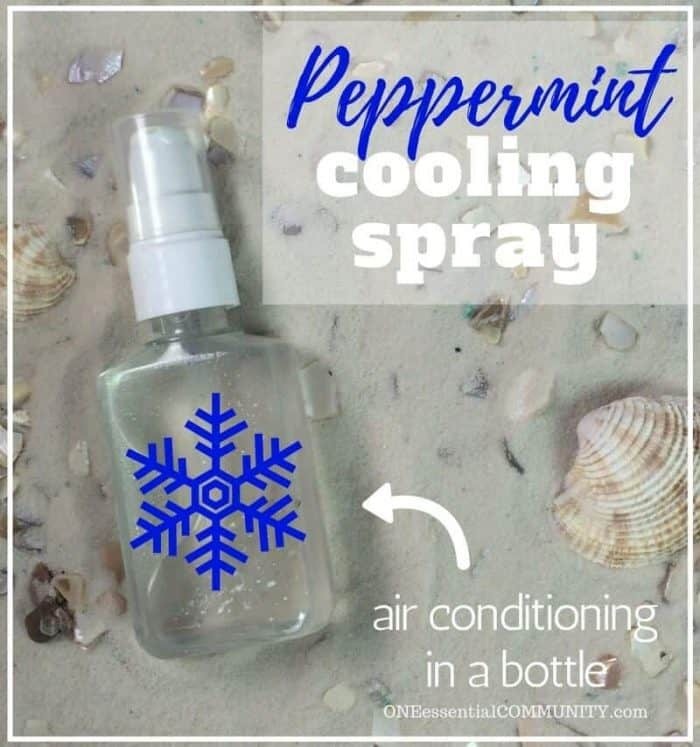 How to make this homemade peppermint cooling spray (a.k.a. 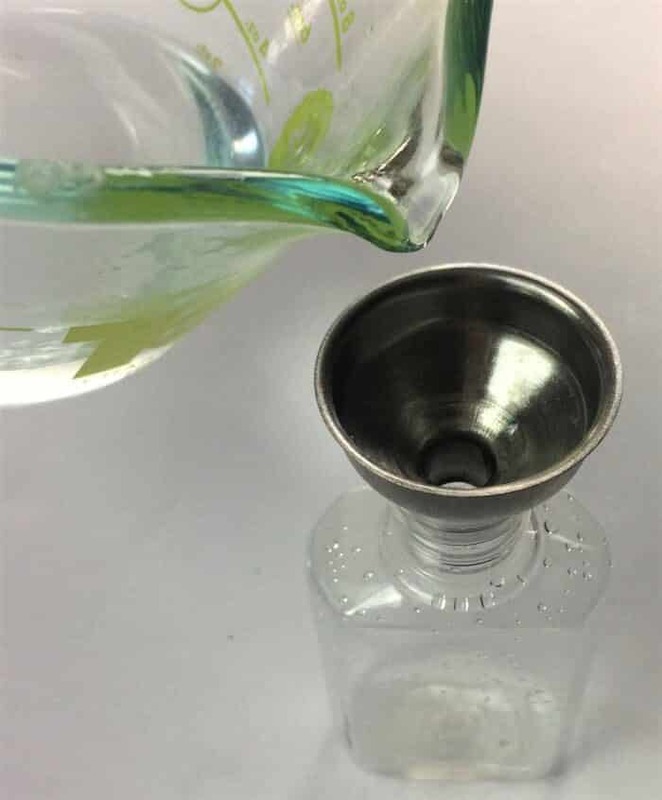 air conditioning in a bottle)? 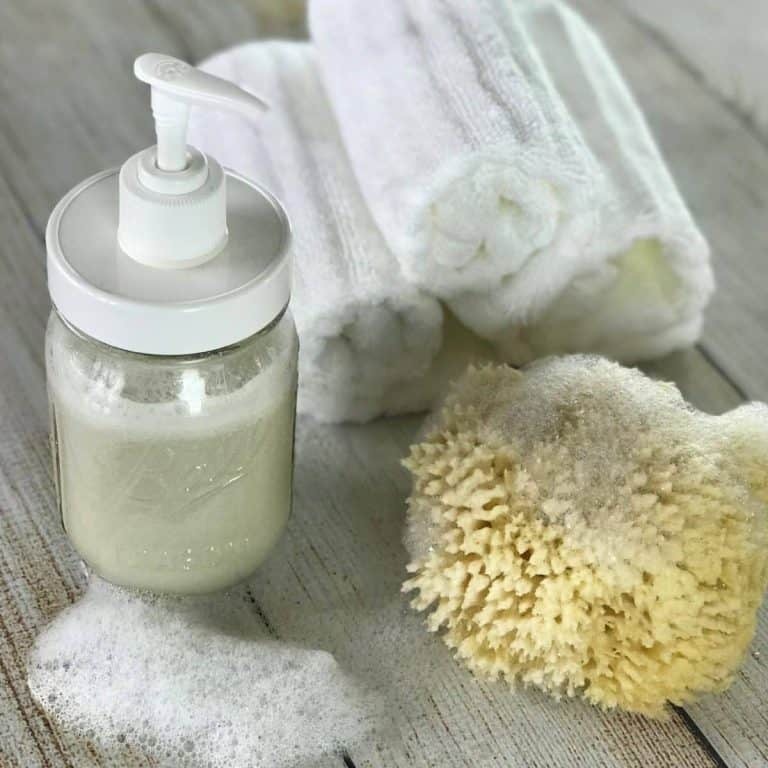 while you can store this at room temperature, when you’re at home, I recommend keeping spray in the refrigerator for extra cooling power – it feels even better going on when you get the double hit of the cold spray plus the cooling powers of the witch hazel and peppermint. Do not spray on face or anywhere near eyes. If any of the cooling spray does get into eyes, dilute the area immediately with a carrier oil (like olive oil or coconut oil). Do this by placing the vegetable oil on a Kleenex and gently wiping the eye area. Repeat as necessary. 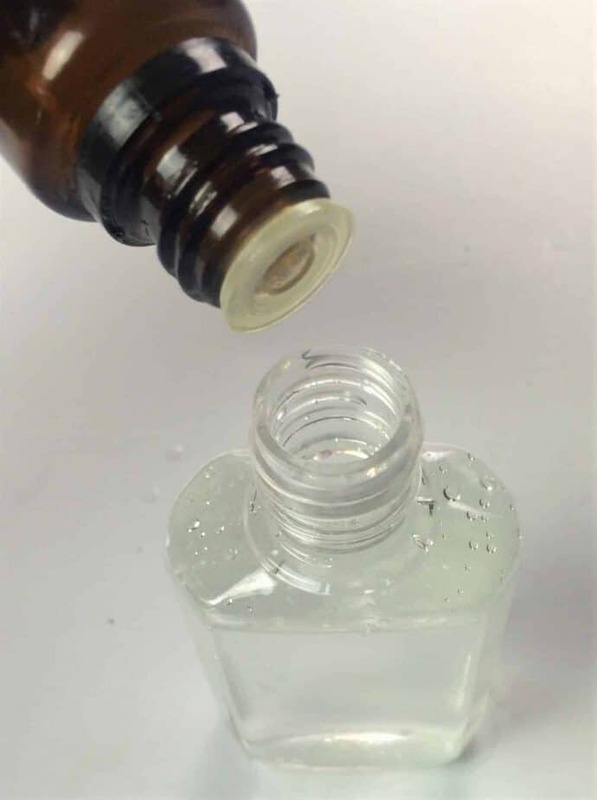 Do not use too much peppermint essential oil. Peppermint is a strong essential oil and it only takes a few drops to get the cooling effect. If you use too much, you may experience a burning sensation. If this happens, rub a natural carrier oil (like olive oil, coconut oil, or almond oil) over the skin that is effected. 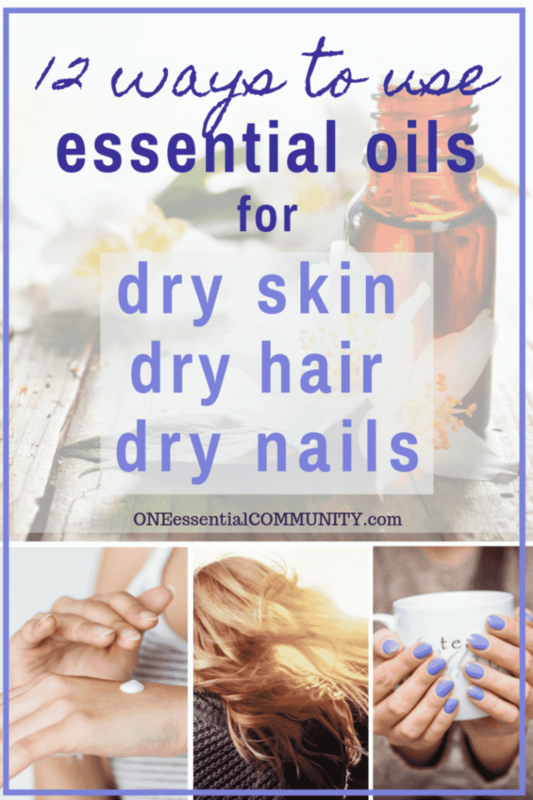 The carrier oil will dilute the essential oil and soothe the skin. Because this spray uses peppermint essential oil, it’s best to not use it on or around young children.